Oak - Beech / Heath Forest is a mixed forest of American beech and oaks with an understory of mountain laurel. It grows on steep, acidic ravine slopes and bluffs over creeks. This type of terrain is found along the Fall Zone from New Jersey to Virginia. 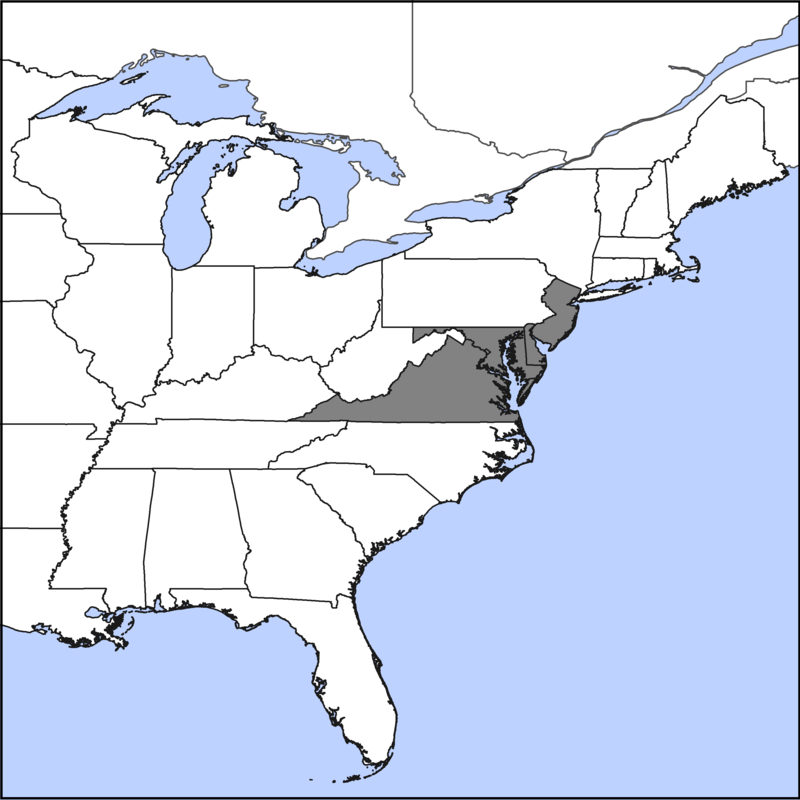 The Oak - Beech / Heath Forest can be found in the Piedmont and inner Coastal Plain of the Mid-Atlantic region. The range of this community straddles the Fall Zone , the area where the soft sandy sediments of the Coastal Plain meet the hard bedrock of the Piedmont. The dissected topography of this region may have helped to shelter this community and its fire-sensitive American beech from fires that help maintain other oak and heath forests where American beech is uncommon. In the outer Coastal Plain, closer to the Atlantic coast, there are a few occurrences of similar vegetation on elevated swamp islands with sandy, poor soils . A characteristic aspect of this community is the setting in which it usually occurs—steep slopes and bluffs above streams and rivers. Another characteristic feature is the abundance of mountain laurel—look for the shiny evergreen leaves and twisted trunks. Towering over the mountain laurel is a canopy of American beech mixed with one to several species of oaks. Most prominent are white oak, black oak, and chestnut oak. Other tree species common in the Mid-Atlantic Piedmont are also usually present in the canopy or subcanopy , such as tuliptree, red maple, various hickories, blackgum, sassafras, dogwood, and serviceberry. In addition, American holly is a common member of this community in the inner Coastal Plain . Some examples of this community may have a variety of other shrubs including pink azalea, blueberries, and black huckleberry.